Here is my contribution to the weekly photo challenge. 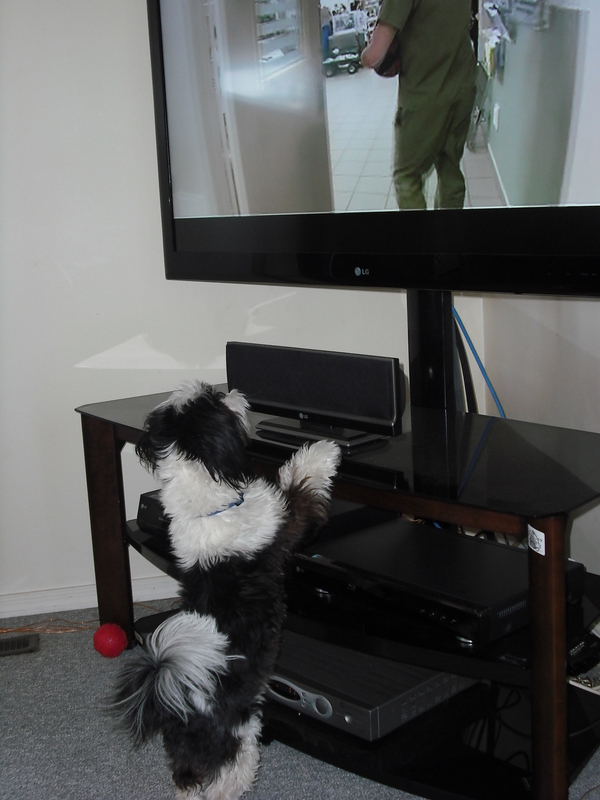 My little dog Sam watching his favorite TV program. The program is about other pets going to the vet. Is he watching out of fear? This is adorable. Children and pets, they do make the world a happier place. I would enjoy watching that.